The 1st Galway St. Joseph’s Scout Group is the original scout group in Galway and have been providing the young people of Galway with a chance to experience the greatness of Scouting for over 80 years. We are currently located in the basement of Ozanam House on St. Augustine Street in the city centre and have members from all over Galway city and even from some parts of the county. 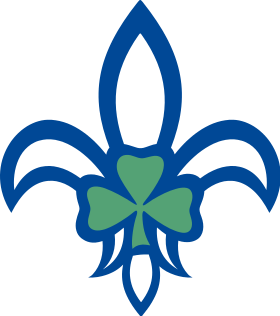 Today, Scouting Ireland is the largest non-formal education youth movement in the country. During the year our members learn key skills for life such as leadership, communication skills, personal responsibility, teamwork, the ability to work with others and the tools to deal with many of the challenges impacting them today such as bullying, self-esteem and lack of confidence. For some information, on the history of Scouting in Ireland, in Galway, and worldwide please Click Here. For Some Info and Photos of the Den, please click here.